When thinking about the exterior design of most homes, the garage door is not always the first thing that comes to mind. However, the look of a home is not unified without the addition of a door that ties the design together. These days, there are many different options for homeowners to choose from. Instead of sticking with plain old white steel doors, an increasing number of people are choosing to follow the trends and pick doors that are unique, functional and interesting. No matter the style of your home, the look of real wood can be a huge improvement. That is why woodgrain garage doors are popping up everywhere. They offer up a lot of curb appeal, and they are right on trend as far as design goes. While real wood can be expensive, manufacturers offer the look of woodgrain on lower-cost doors that expertly mimics the real thing. If you are tired of pushing the button on your garage door opener every time you want to get inside, consider the newest trend in smart technology. Smart garage doors are connected to the internet in a home, allowing residents to open and close the doors with a cell phone. There is no more need to worry about leaving the garage door up, since you can check right on your phone’s app to make sure that it is down. In many new homes, garages are growing larger and larger. As a result, the doors need to fit as well. 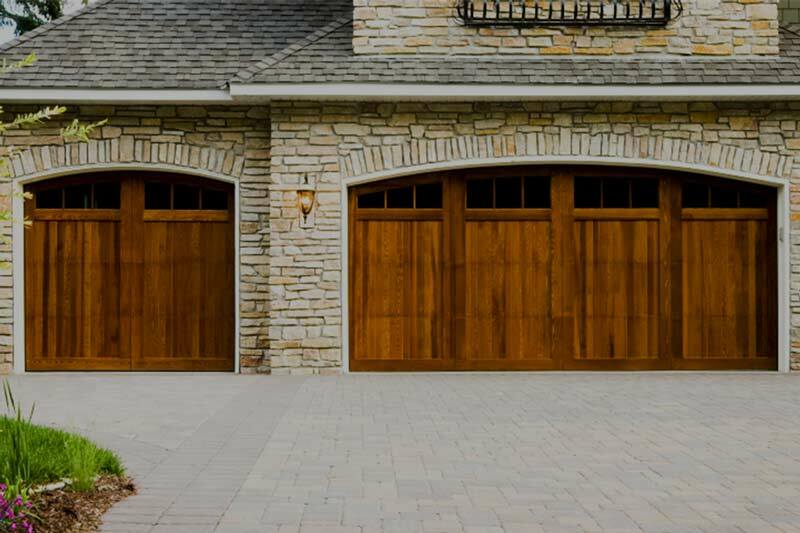 A larger garage door can offer the functionality needed to close off the garage to the outside, but can also serve as a focal point on the exterior of your home. Choosing a door that combines looks and function is essential if you want more than just a utilitarian door.Today’s garage door trends offer up plenty of fun and exciting options for homeowners. Choosing the one that is right for your home can be an opportunity to create a one-of-a-kind house. Today’s garage door trends offer up plenty of fun and exciting options for homeowners. Choosing the one that is right for your home can be an opportunity to create a one-of-a-kind house.